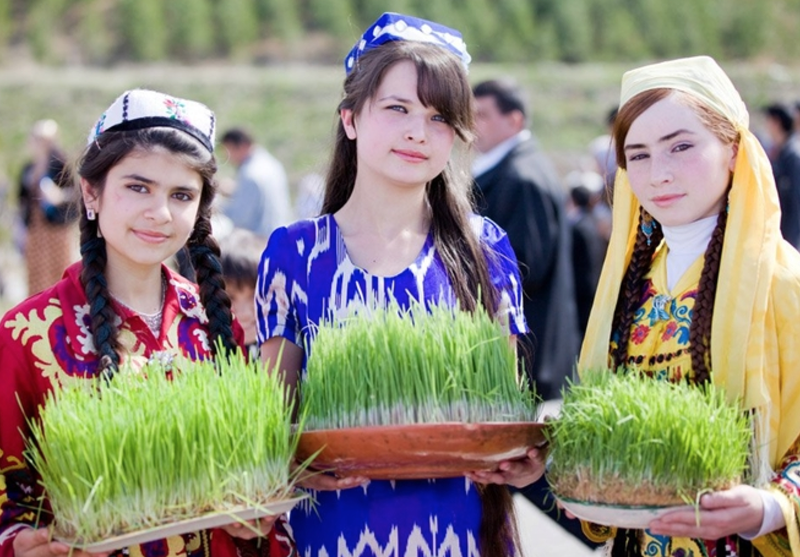 Usto (respectful address to master in Tajikistan) Sodiq dedicated his whole life to women’s hair. 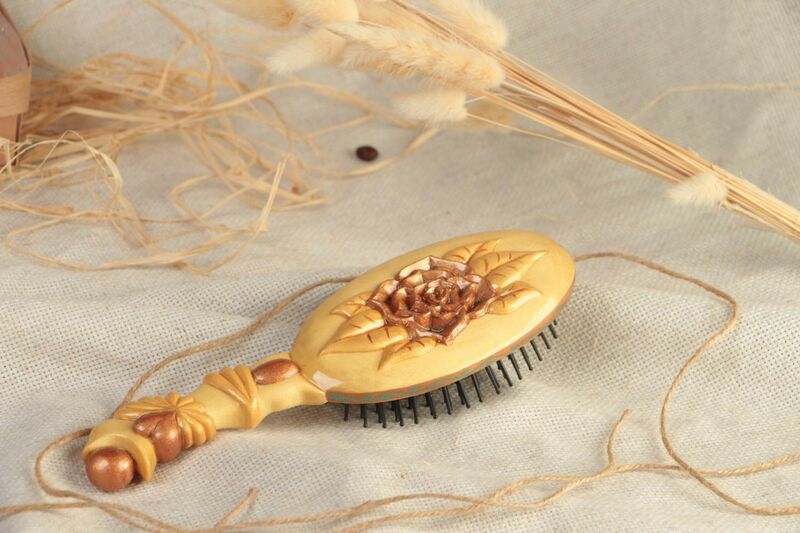 He has produced famous Tajik combs for many years. His craft was even appreciated by foreigners and in 2005 Usto Sodiq collected quality certificate from UNESCO. Annually on international Oimo Fair that takes place in Kyrgyzstan, the man sells hundreds of his combs. Their prices vary from 10 somoni (about 25 hryvnia) and go higher depending on complexity of works performed. Women gladly purchase wooden accessories from the master. He, in turn, advises who should take a nutwood comb, who should take one made of apricot, pear or apple tree, or boxwood, or hawthorn tree. One glance is enough for the master to figure hair structure of his customer. Also, Sodiq insists, it matters, from which part of the tree to cut a comb. Towards the heart of a tree’s body oils and moisture gather, so, combs from this part of a tree will better suit dry hair; then again, he cuts combs from wood, situated on the outside, for greasy hair. Sodiq performs all the works by hand. He takes a stump to cleave it with wedge, moulds slices and cuts out tines with a pad saw. In order to test it to destruction the master runs his finger along it with significant strength applied. If a comb produces very distinct ringing sound, it has proven good. But if a mistake was made and a tine gets broken, such comb goes to garbage. Sodiq saturates some of the combs in bee glue and wood oil after that. Master decorates well-executed combs with national ornamentation, traditional for Tajikistan. Afterwards he dries items in the sun and puts into boxes for sale. For Usto it is the main source of income. Combs feed all his pretty large family. A little while ago Sodiq took apprentices – students of regional crafts college. 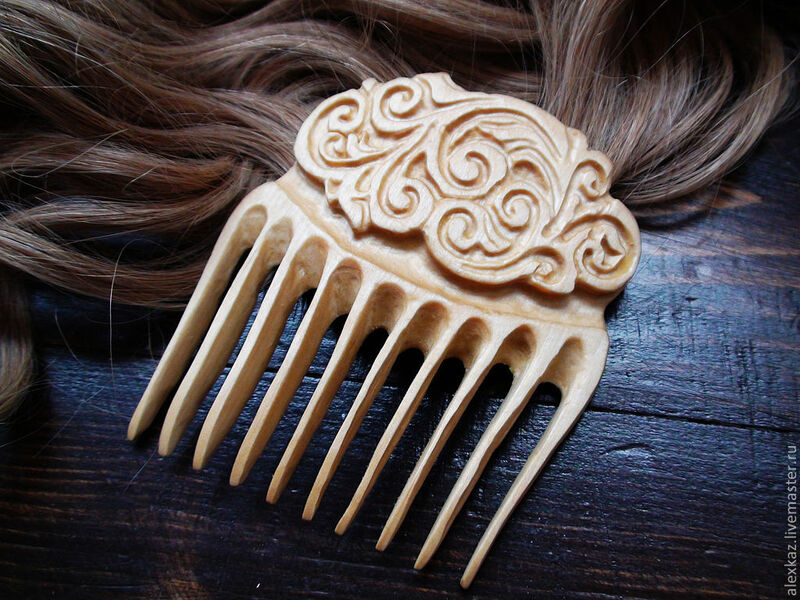 He teaches them that shape of a comb has to be just as it was centuries ago and ornamentation should be applied with love to future owner of a comb even if they are never going to see her. Given all that, a comb will not only be of use but also glorify its owner as the reigning beauty of the neighborhood, Usto Sodiq believes.